It’s been over 6 months since Kelinci last checked in with us, and for those of you just now catching wind of this miscreant cotton-tail, let us indulge you in the world wide photo-journey that we embarked on a few years ago. Without skipping a beat, Kelinci has proven himself to be quite the wanderlust frequenting everything from mountain tops, to exotic tropic isles. 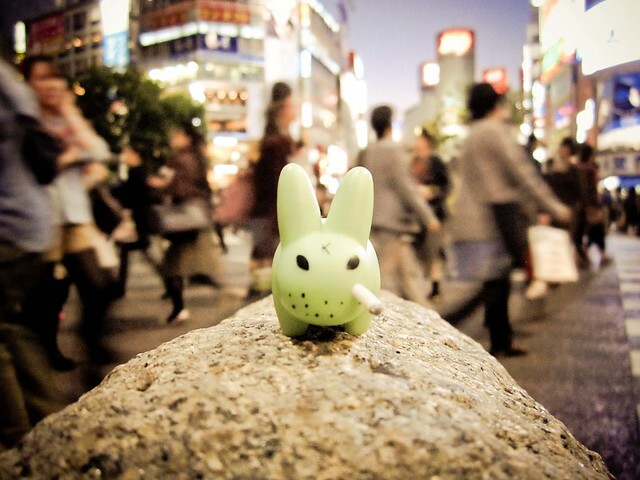 Below we see him taking a break amongst the notoriously busy intersection of Shibuya, which reportedly sees upwards of 1 Million people crossing through the intersection every day. 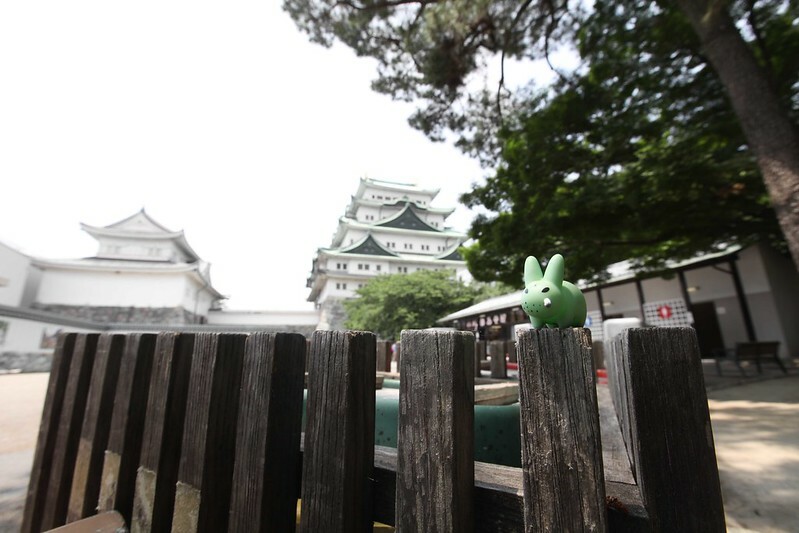 Next, we see Kelinci taking in a bit of Japan’s rich cultural history at the Nagoya Castle. Constructed in the early 1600’s, it is considered one of the three greatest castles in Japan, and parts of it are still undergoing reconstruction with total completion set for 2018. Nagoya is Japan’s 4th most populated city. 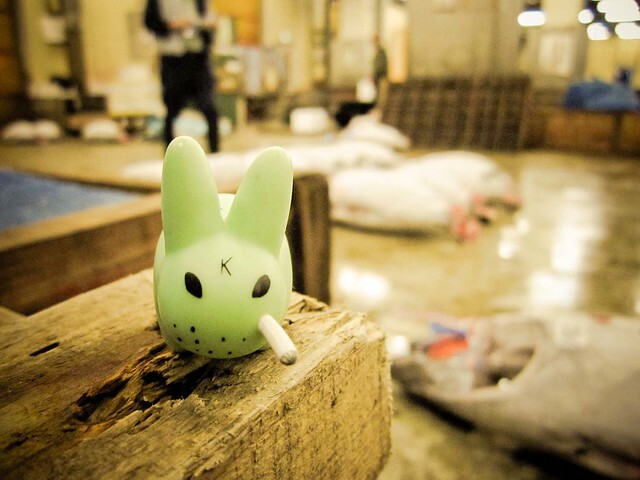 Finally, we catch a glimpse of our friend at Tsukiji fish market, which is the largest wholesale fish and seafood market in the world. The markets process over 700,000 metric tons of seafood every year, comprising of over 400 different types of seafood. Even though Kelinci doesnt eat meat, they have some tasty seaweed there we hear, so we’re sure a full belly ensued. You can view the entire Kelinci photo gallery here.